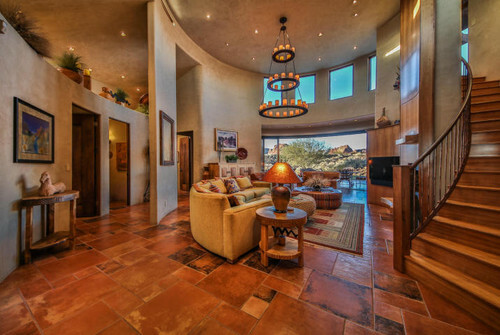 CLASSIC SOUTHWEST MASTERPIECE!! 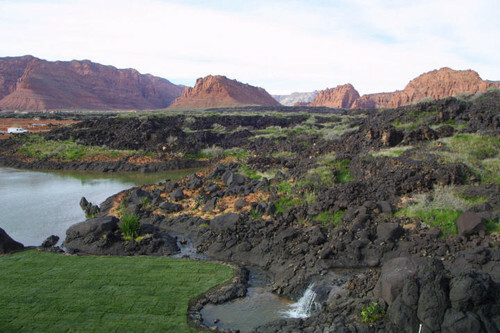 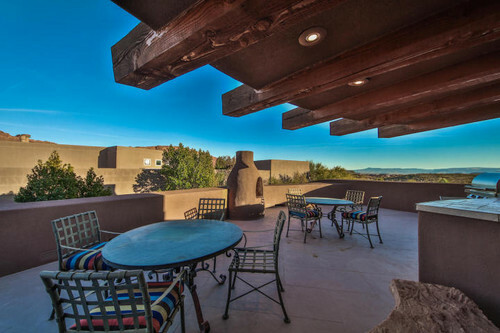 Newly listed in the exclusive ''Reserve at Entrada.'' 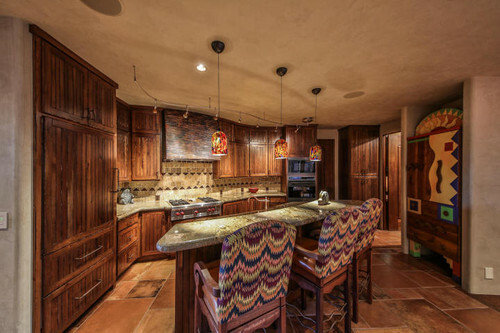 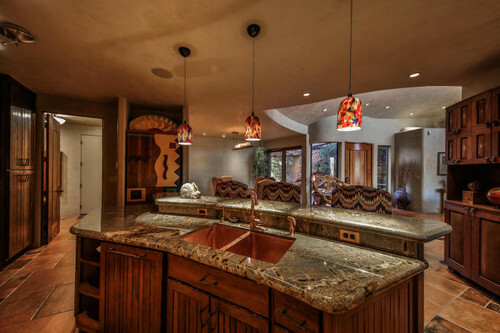 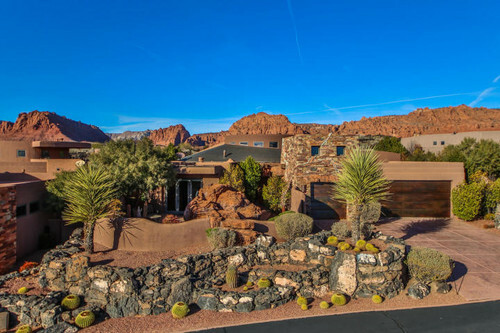 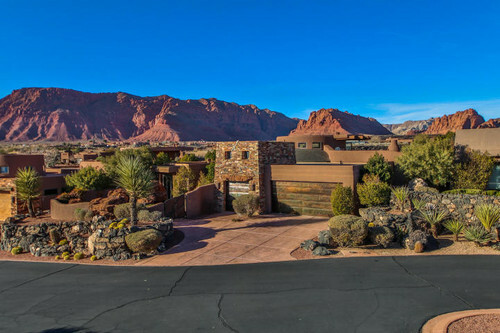 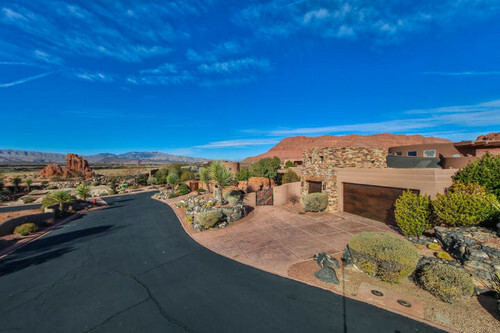 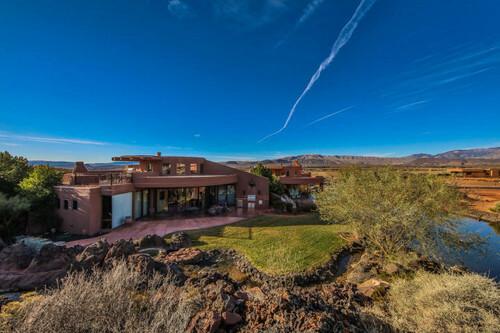 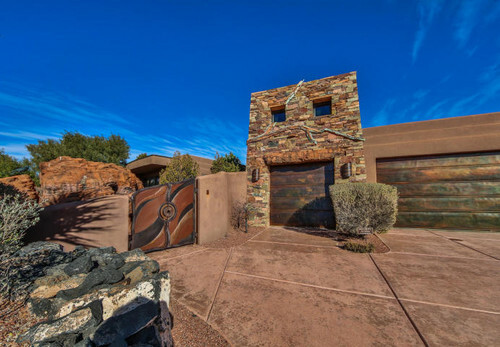 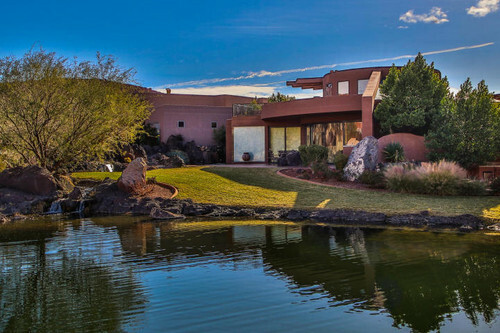 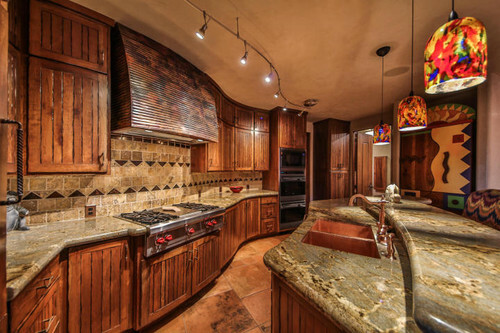 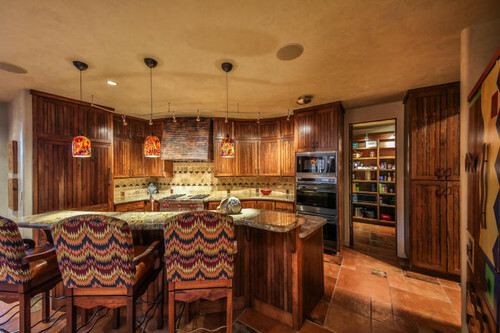 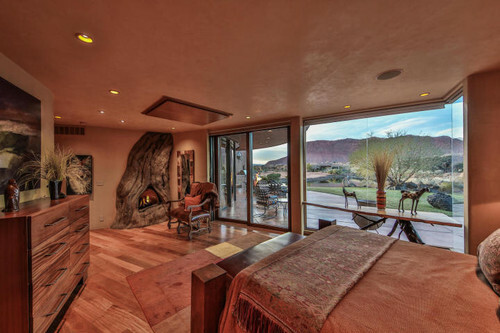 This Split Rock-built 2005 Parade Home is a truly unique work-of-art & the custom-built southwest furnishings, accessories, and art are included in the price!! 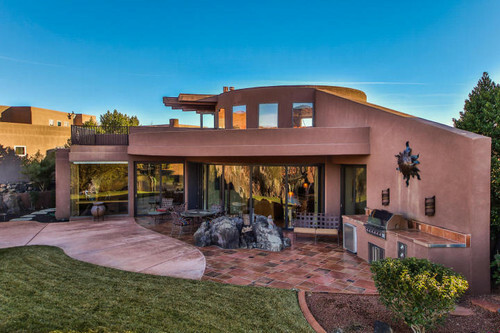 Curvilinear windows/walls, pivoting S-shaped front door, & 4 sets of disappearing/retractable walls of glass. 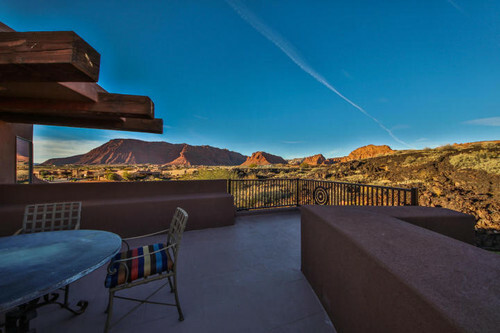 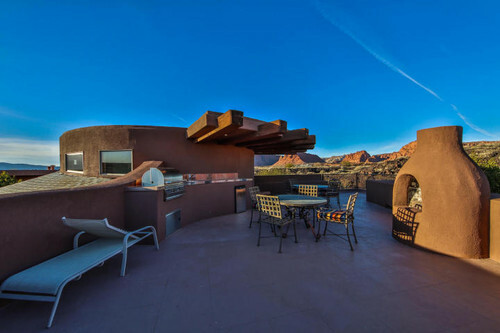 Roof deck with 360-degree views(click ''more'')of Snow Canyon, Red Mountain, Utah Mountain, and lava fields. 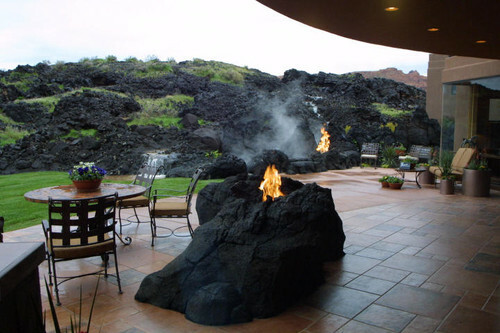 9 fireplaces, some w/ the Kiva/Adobe design and others which are Artisan-crafted faux rock designed to look like lava or sandstone. 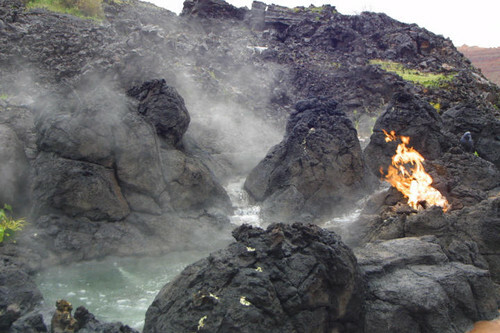 Lava rock hot tub with multiple cascading waterfalls. 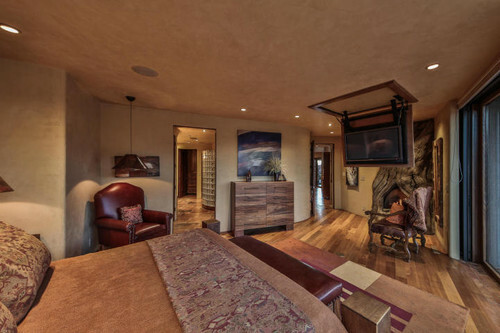 Exquisite Venetian Plaster walls. 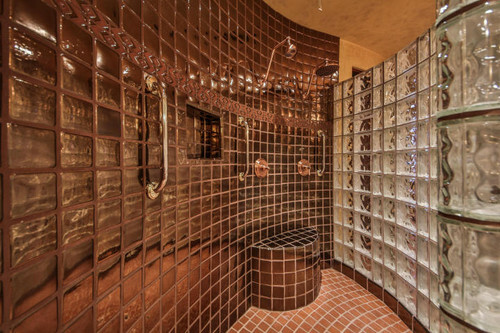 One-of-a-kind copper tile roof, each tile custom-crafted such that not one tile is the same as the other. 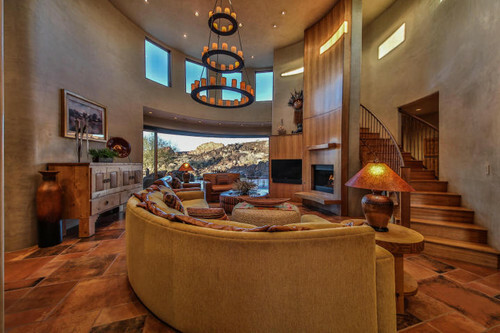 Automated Lighting and Security System. 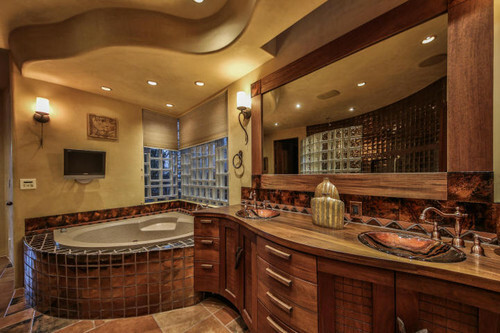 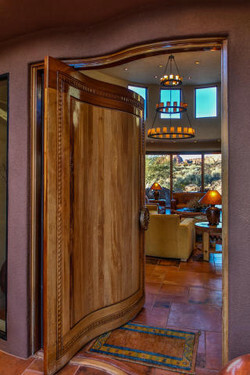 Southwest furnishings were custom built for curvilinear walls. 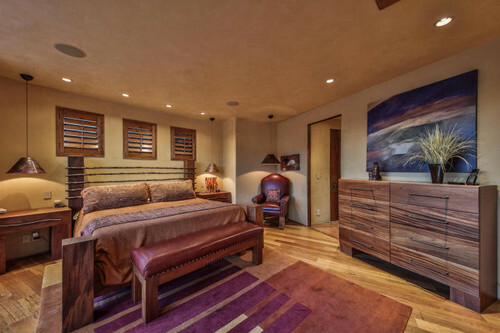 Indigenous art was commissioned specifically for southwest motif. 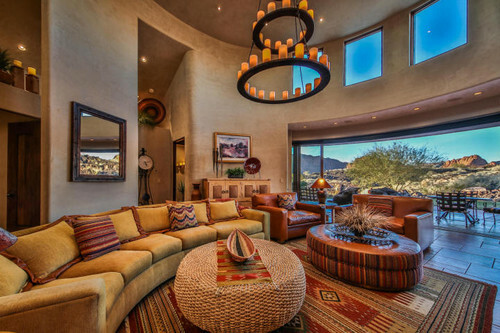 Furnishings, art, and accessories included. 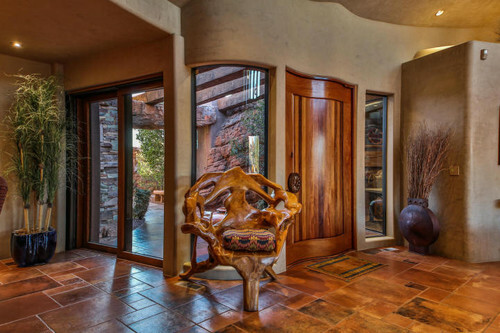 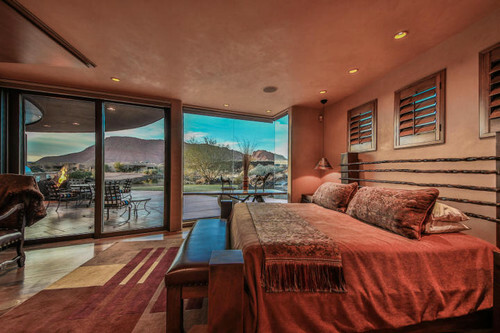 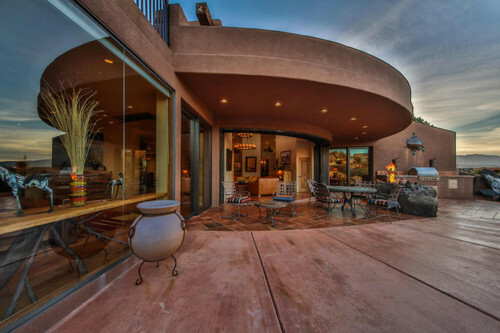 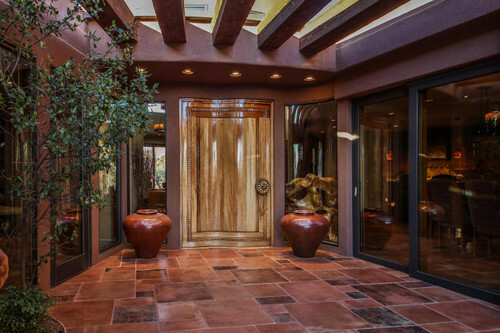 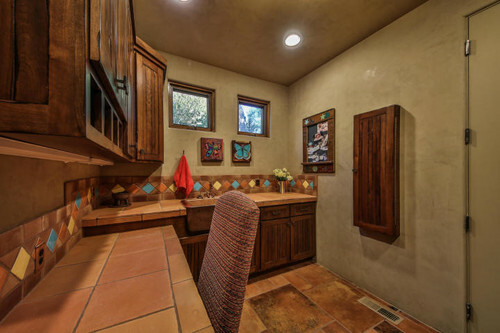 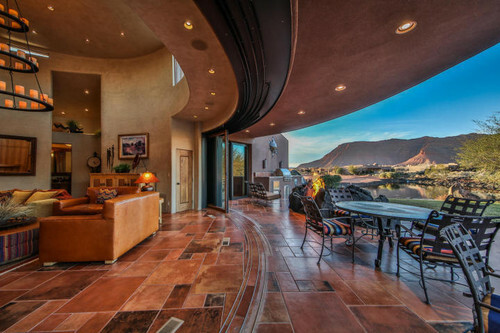 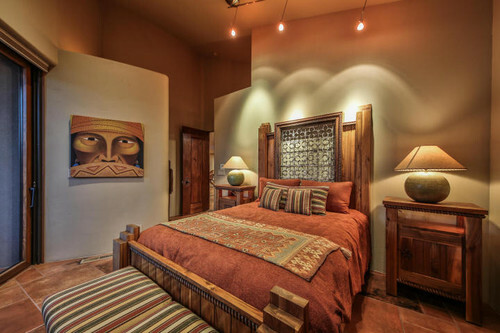 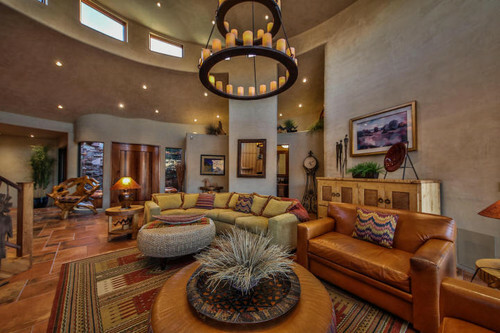 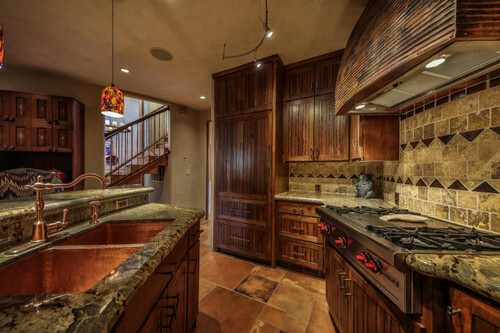 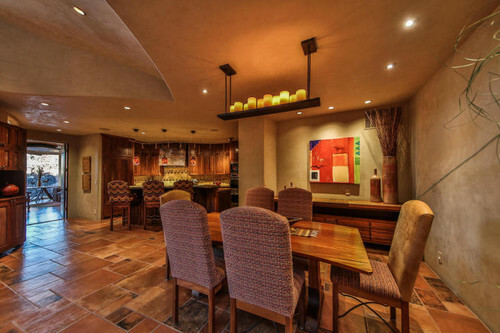 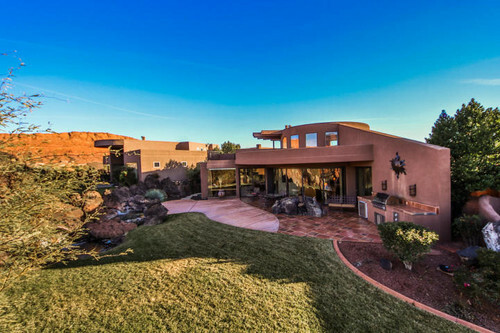 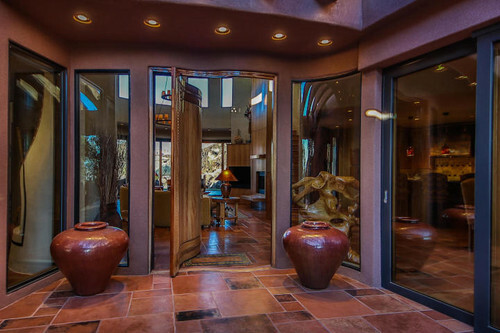 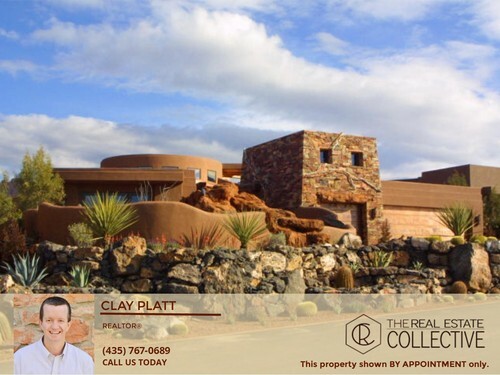 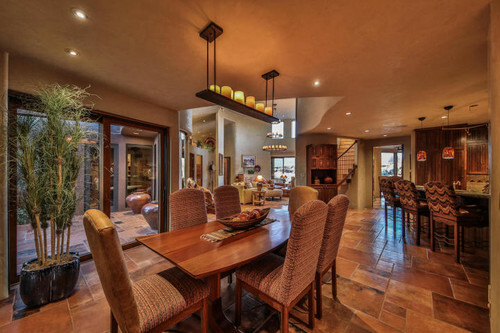 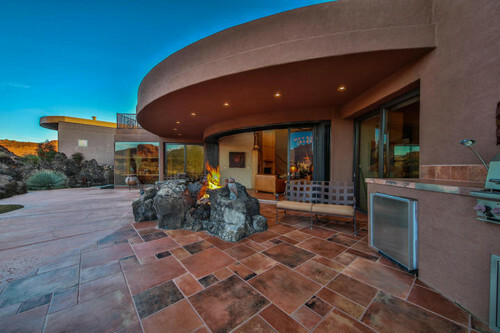 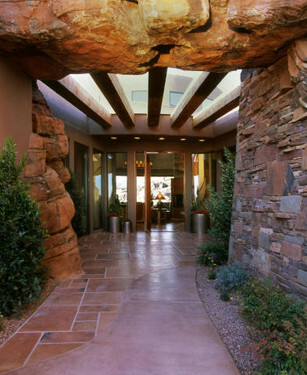 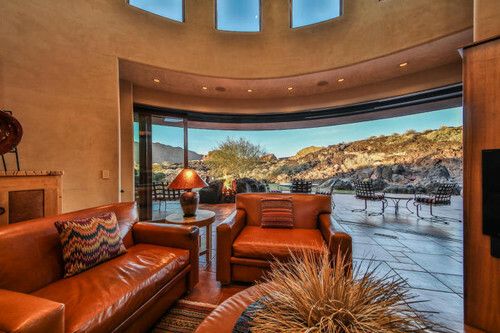 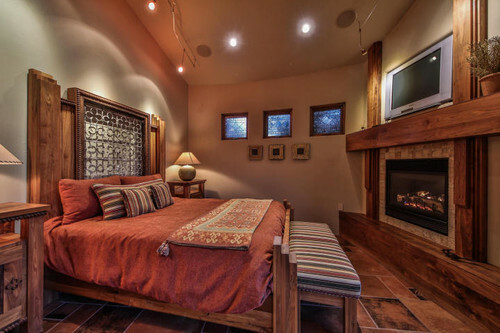 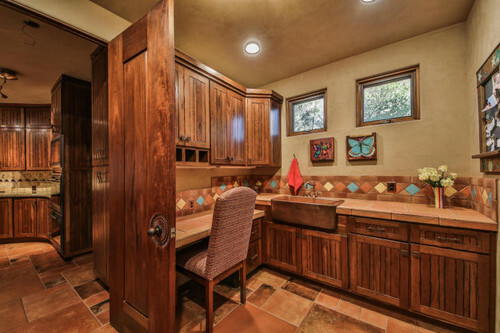 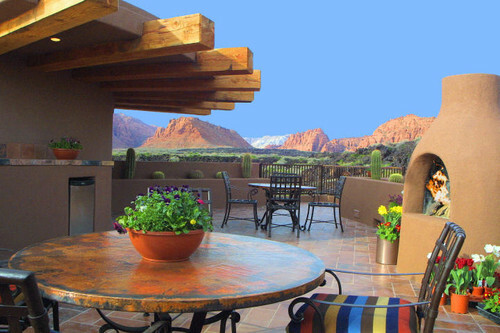 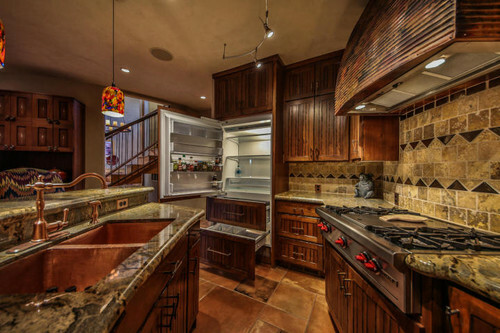 Casita w/ private exterior access, sitting patio, and massive sandstone fire feature. 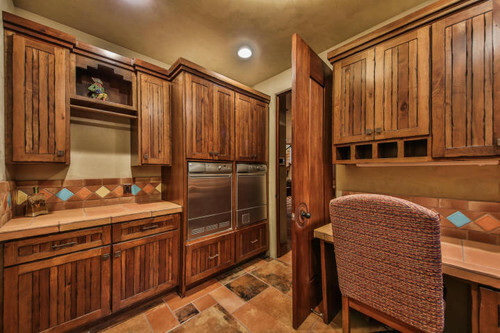 Workbench/storage in garage and carpeted storage space above garage. 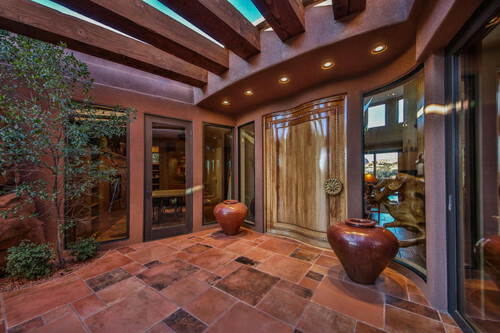 Tons of value here, building this home again would be very cost prohibitive.